Port Rowan, ON—A lot has changed since the first Great Backyard Bird Count (GBBC) was held in 1998. Each year brings unwavering enthusiasm from the growing number of participants in this now-global event. 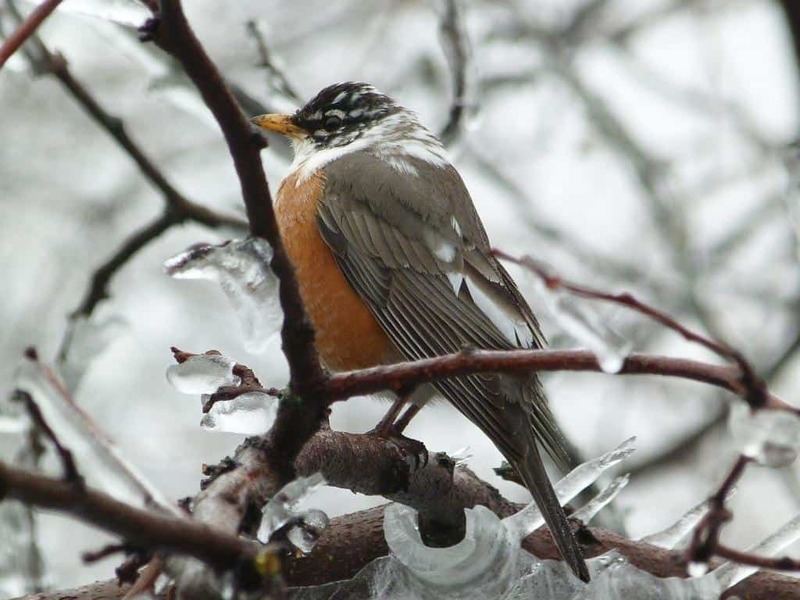 The 20th annual GBBC is taking place February 17-20 in backyards, parks, nature centres, on hiking trails, school grounds, balconies, and beaches—anywhere you find birds. Birdwatchers from around the world enjoy counting their birds and entering the GBBC photo contest. 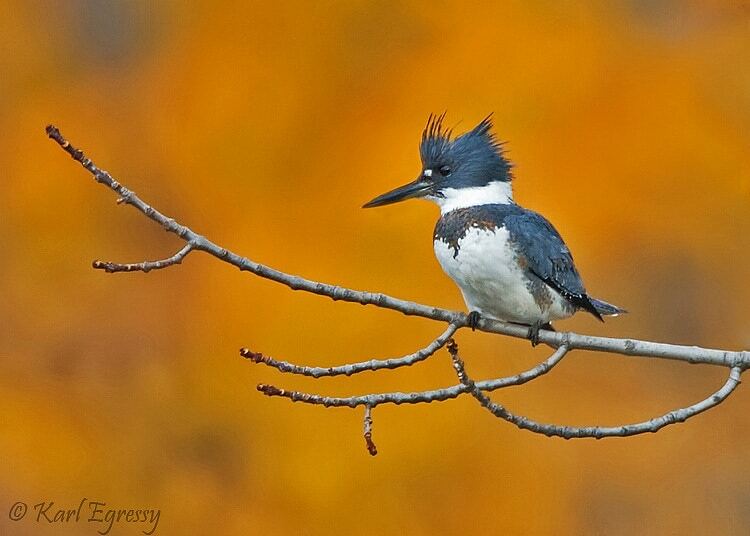 Photo by Ann Foster, Florida, 2016 GBBC. Download larger image. Birdwatchers count the birds they see for at least 15 minutes on one or more days of the count, then enter their checklists at birdcount.org. All the data contribute to a snapshot of bird distribution and help scientists see changes over the past 20 years. When it comes to feeding birds, it’s important to be skeptical of ‘conventional wisdom’. There are a lot of myths out there, some of which might discourage people from putting out feeders. No one with an interest in birds should be missing out on such an entertaining and convenient way to enjoy contact with nature. Feeding wild birds also serves to develop a greater understanding and appreciation for the environment in general. It’s impossible to care about birds without becoming concerned about issues such as climate change and habitat destruction. The following list highlights some of areas of concern that people have when it comes to feeding birds. 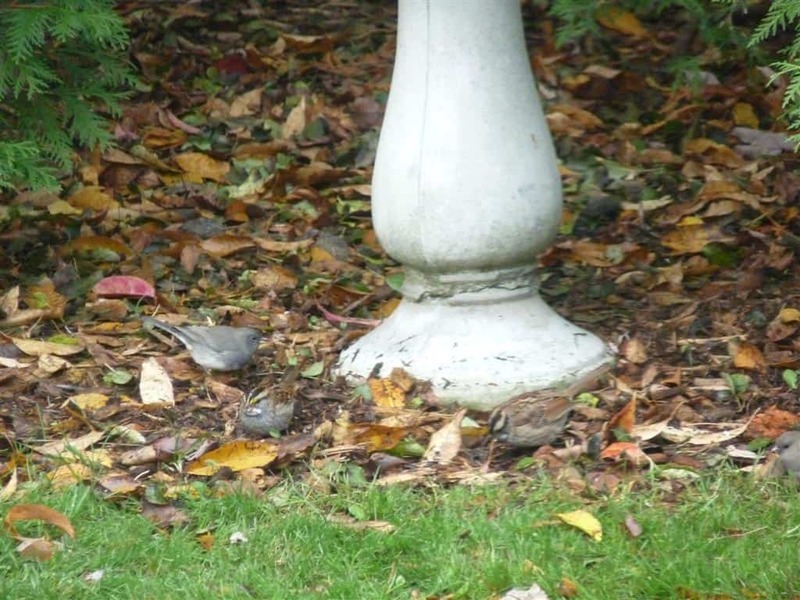 I have also included some suggestions to make bird feeding more successful and enjoyable. 1. Over-dependence on feeders. Birds do not depend on any one food source. They need a greater variety of food than feeders alone can provide. For example, studies with chickadees have demonstrated that even removing a feeder in mid‑winter does not result in greater flock mortality than would normally occur in flocks that do not visit feeders. Birds are well able to find other sources of food if feeders are unavailable. Putting out food for the birds can be important during extreme weather events, but birds will not starve if the feeders aren’t filled. 2. Impact on migration: People sometimes fear that feeding birds during the fall migration period might somehow stop them from flying south. Feeders will not keep birds from migrating. Migration is controlled by instinct and by external factors like daylight and weather. 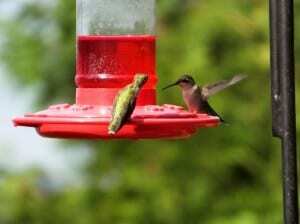 In fact, your feeders are providing an energy boost to help them survive these long journeys. I witness the allure of migration every October when hoards of white‑throated sparrows visit our yard. Despite a ready supply of black oil sunflower seed and millet scattered liberally on the ground, all of the birds depart by the end of the month. 3. Hawks at feeders: It’s true that feeding birds might attract a Cooper’s hawk or even a barred owl to your yard. 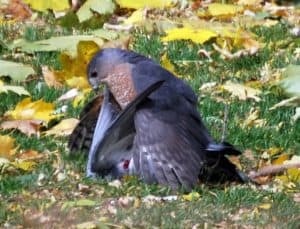 Personally, I feel privileged to witness the drama, even if a mourning dove or house finch pays the price. The raptor’s presence indicates that the food chain is healthy and working as it should. 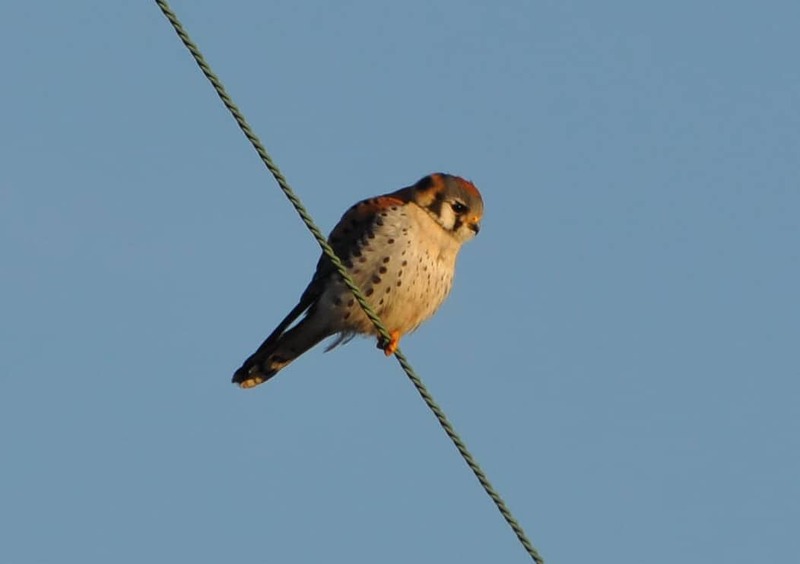 Raptors are also fascinating birds to observe in their own right. If predation becomes too much of a problem, you can simply take your feeders down for a few days and thereby disperse the smaller birds. 4. When to feed: Many people make the mistake of waiting until winter has arrived before putting up their feeders. The greatest bird diversity at feeders actually occurs in the spring and fall. In early October, for example, a dozen or more species may turn up on a given day. The same can be true in late April. I usually start putting out sunflower seed and millet in late September, when large numbers southbound white‑throated and white‑crowned sparrows are passing through. They are easily attracted to our yards if seed is available on the ground. These sparrows come through again in late April and early May on their way north. 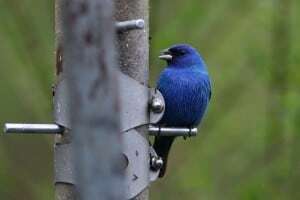 Rose-breasted grosbeaks and indigo buntings may also show up at feeders in May and are a real treat to see. Grosbeaks are attracted to sunflower seed, while the buntings prefer nyjer seed. 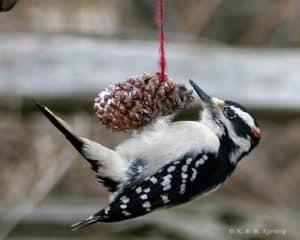 By putting out food in the spring and fall, you are also providing a welcome source of energy for the birds’ long flight to or from their wintering grounds. There is no problem feeding birds in summer, either. I keep my peanut and nyger seed feeders filled all year long. Woodpeckers, nuthatches and chickadees dine on the peanuts, while goldfinches are a constant presence at the nyger seed. If you live in the country near a woodlot, rose-breasted grosbeaks and their young will often come to sunflower feeders during the summer months. 5. Metal perches: There is no reason to be concerned that a bird’s feet might stick to metal feeder perches in winter. The feet are made up mostly of scaly tissue and are well protected against the cold. Blood flow in the feet is minimal, and sweat glands are completely absent. This means that there is no moisture present to freeze to metal. 6. Peanut butter is dangerous: As far as I’m aware, there is no documented evidence that birds can choke on peanut butter. In fact, peanut butter is high in fat and therefore provides a great deal of energy. 7. 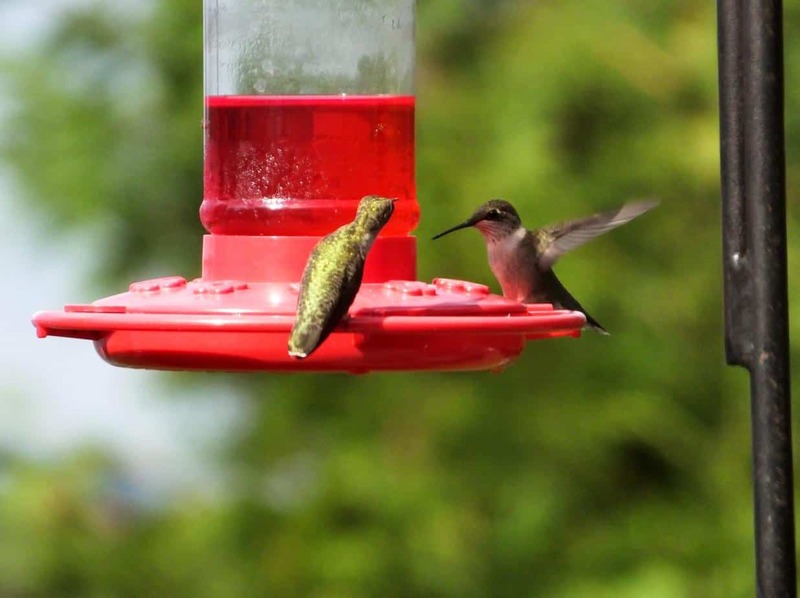 Hummingbirds: Don’t wait until the warm weather of June to get out your hummingbird feeder. Hummingbirds arrive back in the Kawarthas in early May, when flower nectar is in short supply and frigid weather is still possible. At this time of year, a feeder might actually make a difference to their survival. I also recommend leaving it up until late September, when the last of the hummingbirds departs for Mexico and Central America. Whether the sugar water in the feeder contains red dye is largely irrelevant. The birds don’t need it to find the feeders. As to whether the dye can hurt the birds, the jury still seems to be out. I recommend erring on the side of caution. 8. Scattering seeds: You will attract a lot more bird species by spreading seeds on the ground. Yes, you may lose some to squirrels, but at the same time, you will attract some of the many birds that are strictly ground feeders. Who knows? A fox sparrow or an eastern towhee might even show up. I prefer to use millet to spread on the grass and snow; however, I try to scatter it widely enough so that the squirrels can only glean a small part of it. Scattering the seeds near hedges and other areas of cover seems to work best. 9. Where are the birds? The number and variety of birds coming to feeders varies greatly over the year. Why bird activity is slow at times is not always clear. However, there are several possible explanations. First, many species such as cardinals and house finches travel in flocks in winter and may only frequent a small number of feeders. Yours may not be on their list. The presence of a raptor in the neighbourhood may also explain why fewer birds are present on a given day. Habitat changes in your neighborhood such as trees being cut down can also have an impact. The loss of habitat is the number one cause for the rapidly declining populations of many bird species. Finally, birds like siskins, redpolls and pine grosbeaks can be completely absent in the Kawarthas some years. This is because the wild foods they depend upon – conifer seeds, birch seeds, berries, etc – fluctuate in abundance from year to year. When there is plentiful food available in their boreal forest nesting grounds, they simply stay put. This seems to be the case this year. Every year I like to encourage readers to further the cause of science by taking part in the Great Backyard Bird Count (GBBC). Launched in 1998, it was the first online citizen-science project to collect data on wild birds and to display results in near real-time. Now, more than 160,000 people of all ages and walks of life worldwide join the four-day count each February to create an annual snapshot of the distribution and abundance of birds. In 2016, GBBC participants in more than 130 countries counted 5,689 species of birds on more than 162,000 checklists. 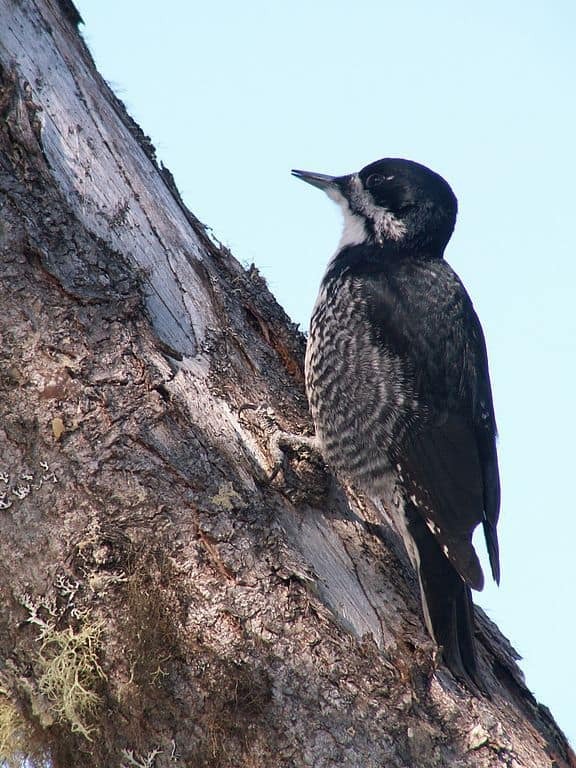 With the El Niño weather phenomenon warming Pacific waters and contributing to record-warm temperatures this winter, participants in the 2016 Great Backyard Bird Count (GBBC) may be in for a few surprises. 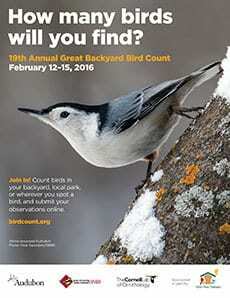 The 19th annual GBBC starts tomorrow, February 12, and continues through Monday, February 15. 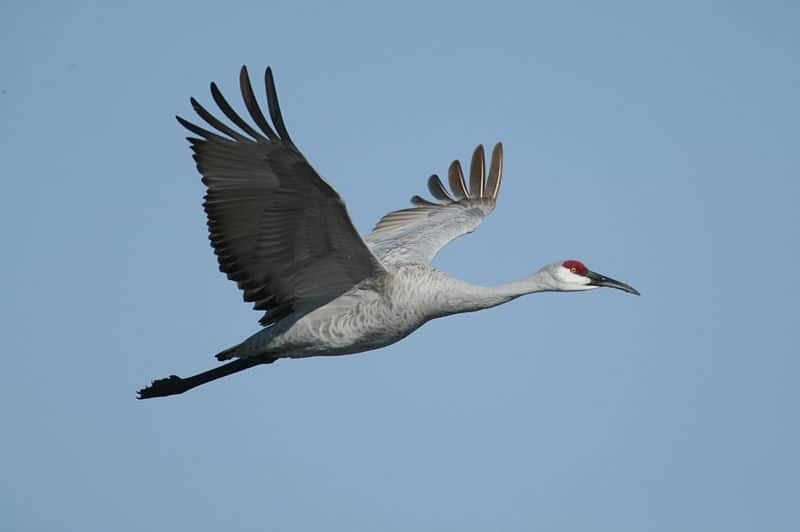 Information gathered and reported online at birdcount.org will help scientists track changes in bird distribution, some of which may be traced to El Niño storms, unusual weather patterns, and accelerating climate change. “We’ve seen huge storms in western North America plus an unusually mild and snow-free winter in much of the Northeast,” notes Audubon chief scientist Gary Langham. This means some species are turning up in unexpected places. For example, a Bullock ’s oriole was seen in recent weeks in Pakenham, near Ottawa. 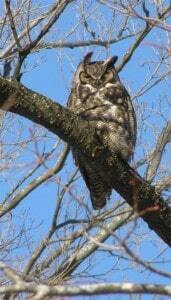 GBBC organizers are curious to see what other odd sightings might be recorded by volunteers during this year’s count. 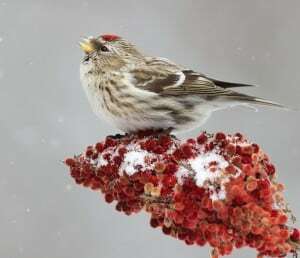 How how big is this year’s movement of northern species such as pine siskins, purple finches, common redpolls and bohemian waxwings into the Kawarthas? What kinds of differences in bird diversity are apparent in cities versus suburban and rural areas? Are any new birds undergoing worrisome declines that point to the need for conservation attention? Any readers who attended the screening of “The Messenger” at the recent Reframe Film Festival in Peterborough will be aware of the many threats faced by songbirds. Increasing the database by taking part in the GBBC is one tangible way that you can help them. A joint project of Bird Studies Canada and Cornell Lab of Ornithology and Audubon in the U.S., the GBBC is open to anyone of any skill level and welcomes bird observations from any location, including backyards, cottages, parks and urban landscapes. 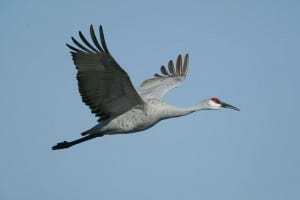 The four-day count typically receives sightings from tens of thousands of people reporting more than 600 bird species in Canada and the United States alone. Anyone visiting the GBBC website will also be able to see bird observations pouring in from other parts of the world. Just follow these simple steps. 1. Register for the count or use your existing login name and password. If you have never participated in the GBBC, you’ll need to create a new account. If you don’t have a computer, try to arrange for someone else to enter the data for you. 2. Count birds for at least 15 minutes – or longer if you wish – on one or more of the days. Count birds in as many places and on as many days as you like—one day, two days, or all four days. Submit a separate checklist for each new day, for each new location, or for the same location if you counted at a different time of day. Estimate the number of individuals of each species you saw during your count period. 3. Enter your results on the GBBC website by clicking “Submit Observations” on the home page. Alternatively, you can download the free eBird Mobile app to enter data on a mobile device. If you already participate in the eBird citizen-science project, just use eBird to submit your sightings. Your checklists will count toward the GBBC. Online maps and lists are continually updated throughout the count, making it easy to see how your sightings compare to what is being seen elsewhere in the city, province, country or world. 4. You can also enter the photo contest, win prizes, and share your experiences on the Facebook and Twitter social networks. To follow the reporting in real time on Twitter, use the #GBBC hashtag. 5. The GBBC website also has special materials for children. In fact, you may want to go one-step further and take part in the count with your children or grandchildren. This would be a great way to celebrate Family Day, which is on February 15. In last year’s GBBC, participants from more than 100 countries submitted a record 147,265 bird checklists and broke the previous count record for the number of species. The 5,090 species reported represent nearly half the possible bird species in the world. As for Canada, 241 species were recorded on more than 10,000 checklists. 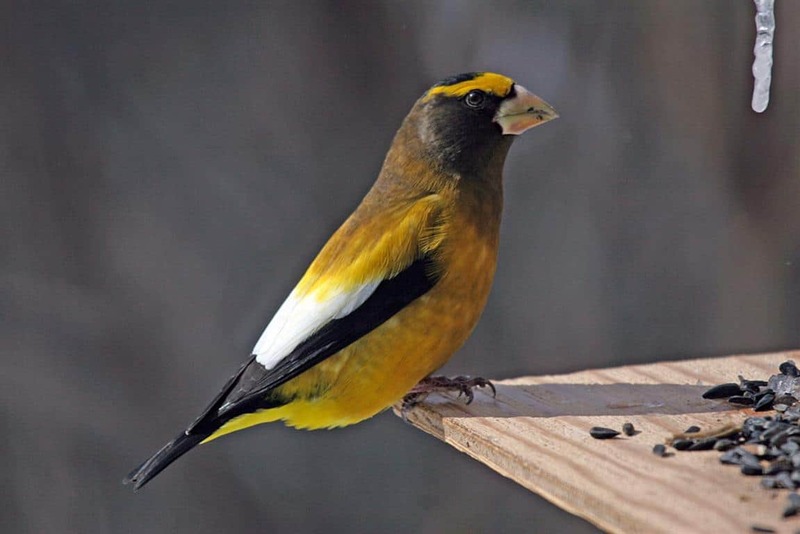 In Peterborough County, 62 observers submitted 224 checklists, which included some less-common species like the trumpeter swan, evening grosbeak, brown-headed cowbird, Carolina wren and red-bellied woodpecker. It is expected that participation this year will eclipse the 2015 numbers. 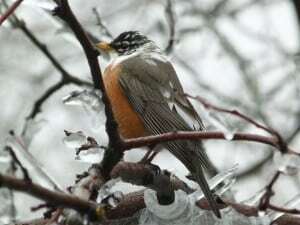 The weather last February was bitterly cold and tough on both birders and birds. Don’t feel intimidated if you’ve never taken part in the GBBC before or doubt your ability to identify birds. In a survey of participants who took part in 2009, more than 36% were doing so for the first time. 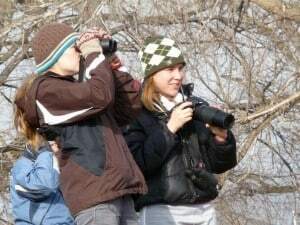 Only about a third of participants considered their skill at identifying birds to be “advanced or expert.” However, the majority of respondents said that they enjoy watching birds every day and that by doing so they experience a satisfying connection with nature. Please consider taking part this year, and encourage your family, friends and neighbours to do so as well. Remember, too, that the Great Backyard Bird Count is a great way for kids to participate in a real scientific study as junior citizen scientists and, who knows, begin to develop a life-long interest in the natural world. We need as many new conservationists as we can get. The Great Backyard Bird Count is just one project in the rapidly expanding field of “citizen science.” This is scientific research conducted in whole or in part by volunteers, usually with no formal background or experience in the area. Citizen science projects make you look more closely and really pay attention to all that surrounds you. Participants can become the “eyes” and “ears” for professional scientists. Increasingly, many areas of science such as conservation biology have a huge need for citizen scientists in order to properly do their work. Dentists are becoming lepidopterists, plumbers are contributing to our knowledge of lizards and grade three students are tracking monarch butterflies. In the process, people feel more engaged with the scientific process and with the natural world in general. Participants also develop a new sense of what a specific plant or animal is going through as human impact on the environment increases. A post-GBBC survey done by the Cornell Lab of Ornithology after last year’s count found that only 15 percent of participants in the GBBC are less than 50 years of age. This is troublesome, since it is another sign that engagement with nature is far less common among younger people. Participation on the part of non-whites was also extremely low at less than 10 percent. In a continent as multi-cultural as North America, we have to be concerned that more people who identify as non-white don’t take part. On a more positive note, most participants were very happy with their GBBC experience, and found counting birds and submitting and exploring data to be enjoyable. Ninety percent said that they were very likely to participate again. As parents and grandparents, we need to do more to help young people develop an interest in nature. It is also important that we do what we can to reach out to new Canadians and share our love for the natural world. If we don’t, it’s hard to imagine who tomorrow’s conservationists will be. Who will speak out for threatened species and habitats, when the formative experiences that make for caring stewards are no longer part of so many people’s experience? Counting birds at Christmas – What’s around this winter? Between mid-December and early January, birders from across North, Central and South America take a break from holiday season excess to spend a day in the fresh air, identifying and counting birds. Dating all the way back to 1900, Christmas bird counts represent the biggest organized birding event in the world and a holiday tradition for over 50,000 birders each year. The counts first began from a desire to count birds rather than shoot them. In doing so, they gave birth to North America’s modern conservation movement. There are two counts in the Peterborough area. One is centred in the city itself and the other in Petroglyphs Provincial Park on the north shore of Stony Lake. Both counts cover a circle 24 kilometres in diameter, take one day each to complete and are organized by a count compiler. Martin Parker organizes the Peterborough count, while Colin Jones is in charge of the Petroglyphs count. Working in small groups and covering the circle by car and by foot, birders work from dawn to dusk identifying and counting every bird they see or hear. The count is open to anyone who wishes to participate. 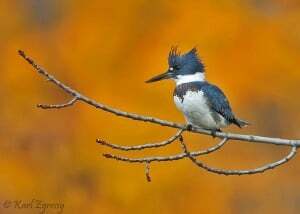 If you are a beginning birder, you will be able to join a group that includes at least one experienced birdwatcher. 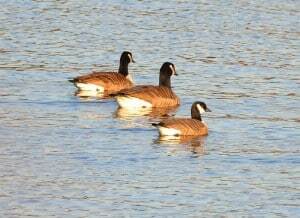 The 64th Peterborough Christmas Bird Count was held December 20th under sunny, mild conditions. Forty-five members and friends of the Peterborough Field Naturalists spent all or part of the day in the field, while four others kept track of birds visiting their feeders. 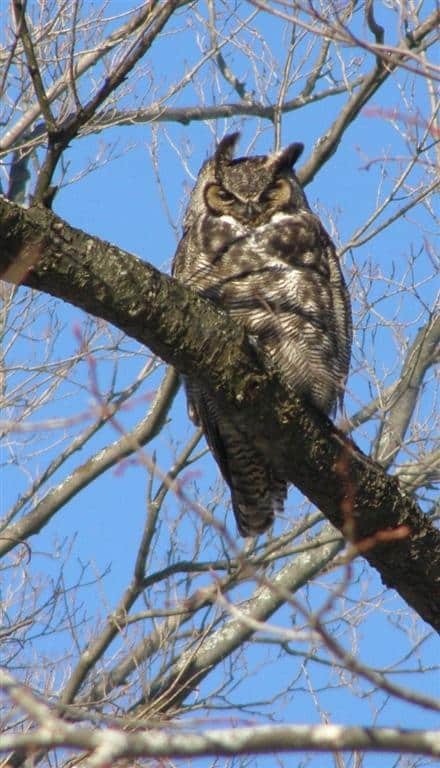 The first party was out at 4:30 a.m. listening and calling for owls. By the end of the day, participants found 16,558 individual birds, which is a new high. A total of 58 species were recorded, four more than the 10-year average. Because mild fall weather continued throughout December and all of the lakes and rivers in the area were open, a large number of waterbirds were still present, including a new species for the Count, the Cackling Goose. It brings the total number of species found on the Count since its beginning to 128. The first Peterborough CBC took place in 1953. As for numbers of birds, record highs were tallied for Canada Goose (3795), Northern Shoveler (4), Redhead (2), Bufflehead (13), Hooded Merganser (15), Ring-billed Gull (399), Eastern Screech-owl (4), Belted Kingfisher (4), Pileated Woodpecker (17), American Crow (813), Black-capped Chickadee (2044), White-breasted Nuthatch (138), and Purple Finch (60). Some other notable birds included an Iceland Gull, 5 Red-bellied Woodpeckers, 3 Merlins, 202 American Robins, a Hermit Thrush, a Red-winged Blackbird, and 128 Pine Siskins. As is the case every year, there were also some notable low numbers. For instance, observers only found one Northern Shrike and three Great Horned Owls. The latter is declining throughout its range. The overall data for the Peterborough count is as follows: Cackling Goose 2, Canada Goose 3795, American Black Duck 3, Mallard 1141, Northern Shoveler 4, Redhead 2, Great Scaup 1, Bufflehead 13, Common Goldeneye 45, Hooded Merganser 15, Common Merganser 54, Ruffed Grouse 8, Wild Turkey 164, Northern Harrier 4, Sharp-shinned Hawk 1, Cooper’s Hawk 3, Bald Eagle 2, Red-tailed Hawk 45, Ring-billed Gull 399, Herring Gull 440, Iceland Gull 1, Great Black-backed Gull 1, Rock Pigeon 1861, Mourning Dove 337, Eastern Screech-Owl 4, Great Horned Owl 3, Barred Owl 1, Belted Kingfisher 4, Red-bellied Woodpecker 5, Downy Woodpecker 86, Hairy Woodpecker 51, Pileated Woodpecker 17, Merlin 3, Northern Shrike 1, Blue Jay 191, American Crow 813, Common Raven 19, Black-capped Chickadee 2044, Red-breasted Nuthatch 13, White-breasted Nuthatch 138, Brown Creeper 6, Golden-crowned Kinglet 6, Hermit Thrush 1, American Robin 202, European Starling 1995, Cedar Waxwing 270, Snow Bunting 308, American Tree Sparrow 253, Dark-eyed Junco 436, White-throated Sparrow 1, Song Sparrow 1, Northern Cardinal 112, Red-winged Blackbird 1, House Finch 80, Purple Finch 60, Common Redpoll 2, Pine Siskin 128, American Goldfinch 887, and House Sparrow 112. The 30th Petroglyph Christmas Bird Count took place on December 30th. The 22 participants enjoyed clement weather, ice-free lakes and good listening conditions. Much of birding is done by ear, so calm days are best. A total of 40 species were found, which tied the previous high. The number of individual birds (2666) was slightly above average, too. One new species for the count was recorded, which surprisingly enough was the Mallard. 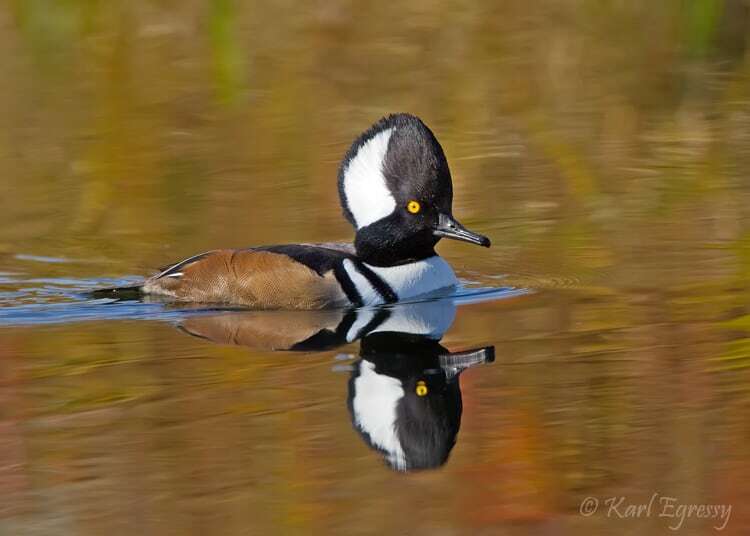 Birders found 26 of these ducks on Stony Lake and one on Jack Lake. Thanks to the open water, a variety of waterfowl that have usually left the area by December also turned up. 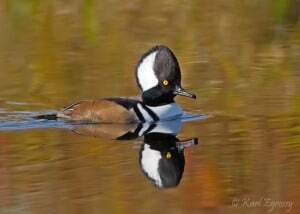 They included a record number of American Black Ducks (10), Common Goldeneye (28), Hooded Merganser (30), and Common Merganser (500, which shattered the previous record of 97). 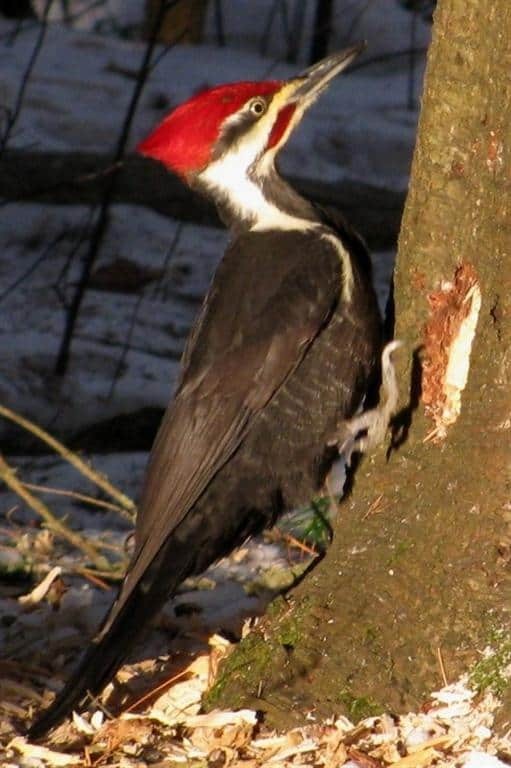 A record high 30 Pileated Woodpeckers were also found. Some other birds of note were 2 Common Loon, 2 Winter Wren (one of which was actually singing! ), 51 Red Crossbill, and 8 Bald Eagle. 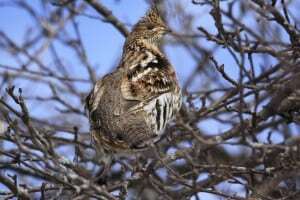 Some common species that occurred in good numbers were Ruffed Grouse (31), Red-breasted Nuthatch (244), Brown Creeper (32) and Golden-crowned Kinglet (49). Finch diversity, too, was excellent with six species recorded. As for low counts, only 5 Mourning Doves, 1 Barred Owl and 151 Blue Jays were tallied. The latter species usually numbers well over 300, but a below-average acorn crop probably explains their relative scarcity. Many jays have simply chosen to migrate south this year in search of more abundant food. A worrisome miss for the count was the Gray Jay. Prior to 2010, the average count for Gray Jays was five, and they were recorded every year with the exception of 1990. Gray Jays are one of many species that are expected to decrease in number as the climate warms, especially at the southern edge of their range such as here in the Kawarthas. It is also interesting that only one Barred Owl made an appearance, since good numbers of this species have been seen in the area in recent weeks. The overall data for the Petroglyph count is as follows: Canada Goose 3, American Black Duck 10, Mallard 27, Bufflehead 1, Common Goldeneye 28, Hooded Merganser 30, Common Merganser 500, Ruffed Grouse 31, Wild Turkey 40, Common Loon 2, Bald Eagle 8, Northern Goshawk 1, Red-tailed Hawk 2, Herring Gull 4, Rock Pigeon 32, Mourning Dove 5, Barred Owl 1, Downy Woodpecker 32, Hairy Woodpecker 37, Pileated Woodpecker 30, Northern Shrike 1, Blue Jay 151, American Crow 11, Common Raven 95, Black-capped Chickadee 660, Red-breasted Nuthatch 244, White-breasted Nuthatch 132, Brown Creeper 32, Winter Wren 2, Golden-crowned Kinglet 49, European Starling 18, American Tree Sparrow 33, Dark-eyed Junco 65, Snow Bunting 5, Purple Finch 10, Red Crossbill 51, Common Redpoll 18, Pine Siskin 167, American Goldfinch 91, and Evening Grosbeak 1. A Golden Eagle and a Ring-billed Gull were also seen during the count period but not on the day of the count. In order to help young people develop an interest in birding, the second annual Junior Christmas Bird Count also took place this year. Organized by the Peterborough Field Naturalists, 16 young naturalists spent part of the morning of January 3 scouring the grounds and nearby trails of the Camp Kawartha Environment Centre on Pioneer Road. The junior event incorporates many of the features as the adult version. However, it is far less rigorous and designed more like a game. The objective is to contribute to citizen science while having fun. This year, the children found 12 species with the help of leaders Dave Milsom, Sean Smith and Martin Parker. The highlight of the morning was 35 American Robins. Great Backyard Bird Count is coming! If you are interested in contributing to citizen science and maybe introducing your children or grandchildren to birding, consider taking part in the Great Backyard Bird Count (GBBC). It takes place February 12-15. The GBBC engages bird watchers of all levels of expertise to create a real-time snapshot of the whereabouts and relative abundance of birds in mid-winter. Anyone can participate. Simply tally the numbers and kinds of birds you see for at least 15 minutes on one or more days of the count. You can count from any location, anywhere in the world! Click here for details.